These are gifts from my boyfriend, best friend, and mom :) I love the Philosophy "Unconditional Love" perfume from my boyfriend. It smells like sweet candy, but is still very light. The Sephora bag contained a gift card with a pretty nice amount in it! I can't wait to use it. 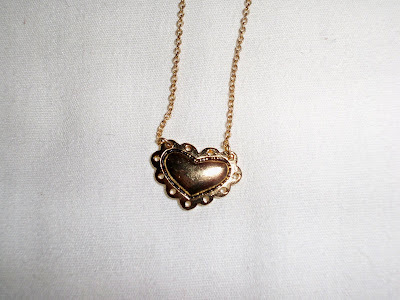 On closer examination, this little heart necklace was a present from my friend Katie. I wore it on my birthday and received sweet compliments. 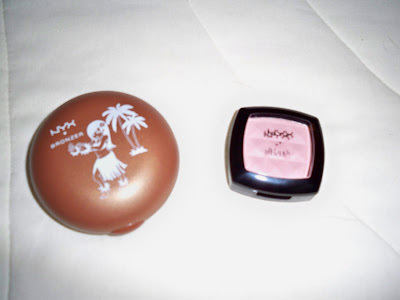 I also got two things from CherryCulture.com: A NYX blush in the infamous "Angel" and a NYX Bronzer Compact in "Daydream of Lanai." Nothing but pure love with these!